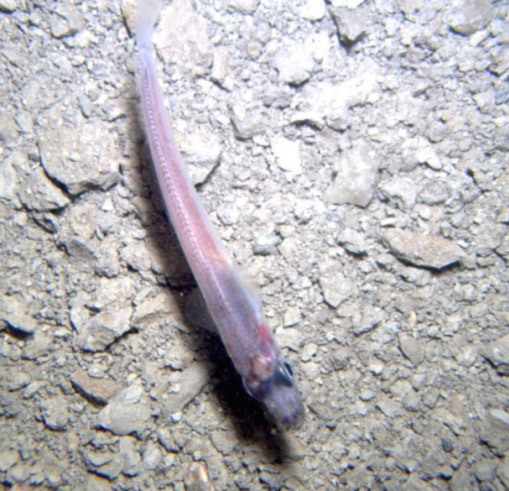 Researchers in Antarctica used heavy machinery to drill into 2,400-feet of solid ice, but at those depths, you wouldn’t expect to find any living animals, like fish, right? That’s exactly what they discovered. 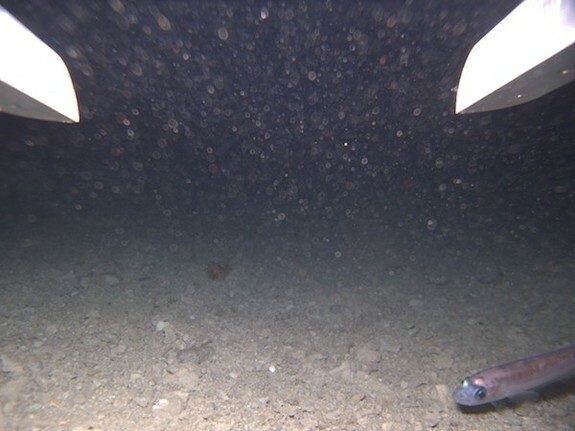 Scientific American says: “People in the cargo container stared at an image of the sea floor panned out on one of the video monitors, captured by the forward-looking camera. Then someone started to yell and point. All eyes swung to the screen with the down-looking camera. A graceful, undulating shadow glided across its view, tapered front to back like an exclamation point – the shadow cast by a bulb-eyed fish. Then people saw the creature casting that shadow: bluish-brownish-pinkish, as long as a butter knife, its internal organs showing through its translucent body.” Continue reading to see the fish and a strange shrimp they found.”All told, the ROV encountered 20 or 30 fishes that day. It was clear they were a community living there, not just a chance encounter. The translucent fish were the largest. 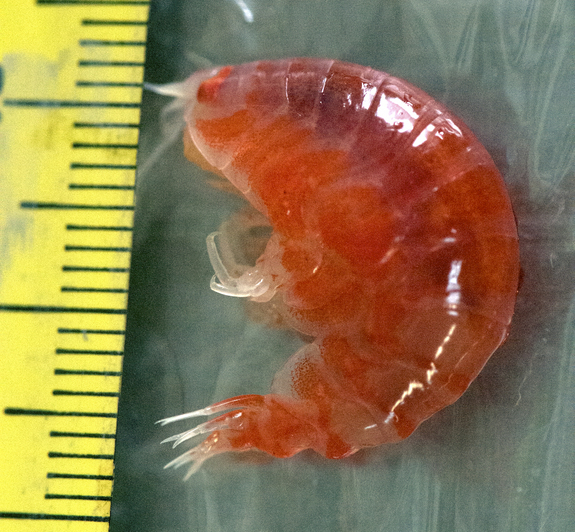 But Deep-SCINI also encountered two other types of smaller fish – one blackish, another orange – plus dozens of red, shrimpy crustaceans flitting about, as well as a handful of other marine invertebrates that the team has so far declined to describe,” according to Scientific American.